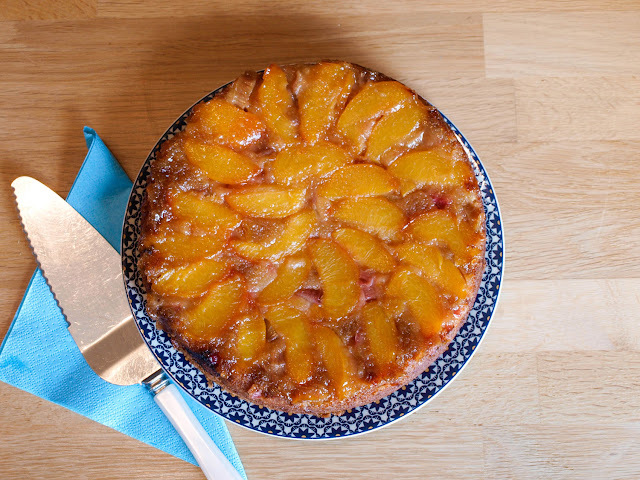 This cake was created as a result of a glut of rhubarb and those peaches you buy to ripen at home and then they all ripen at once and you have to use them quick before they get over-ripe! It's really moist and the perfect 'pudding cake' as it can be eaten as warm or cold as a dessert with cream, yogurt, custard or ice-cream. 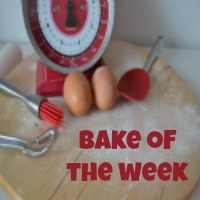 It is also just as nice as a slice of cake with a cup of tea or coffee. A glut of rhubarb and peaches - sounds incredible! Think this is a great way to make the most of them. 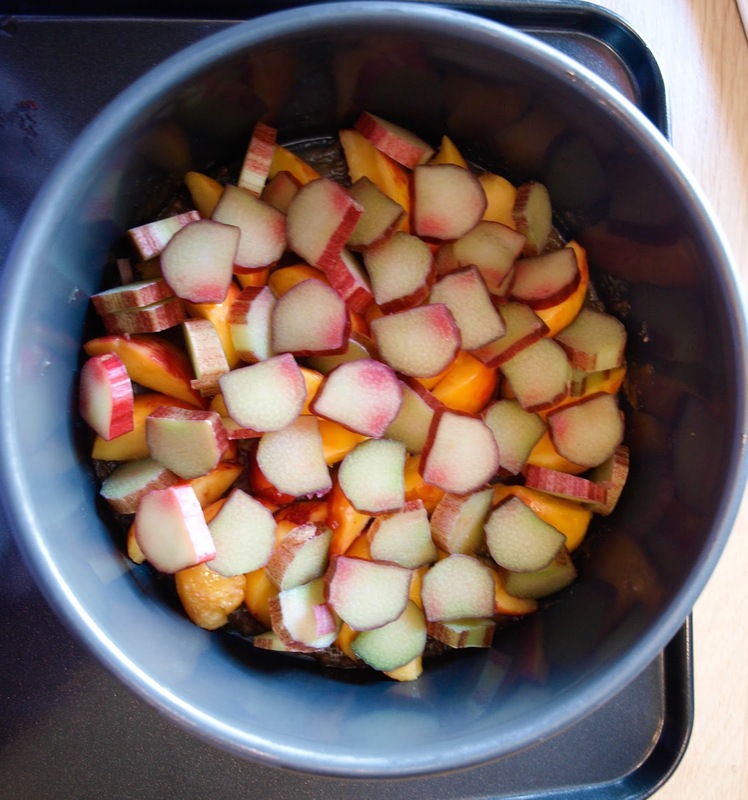 I've been making a lot of rhubarb compote recently too! Wonder if this would work gluten free. Fingers crossed! 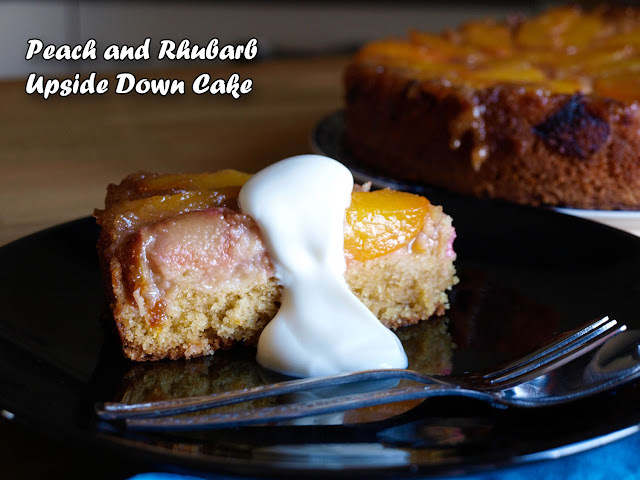 How can it be that I've never thought to combine peaches and rhubarb - it sounds like a match made in heaven!